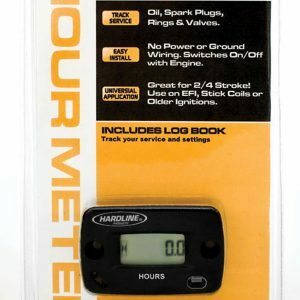 The most advanced, accurate, reliable hour meter made, and the easiest to Install! No connections required, just peel and stick! Automatically starts and stops from the running of your engine by sensing the resonance (vibration) of the engine. Only records when the engine is running. Will not record when you trailer your bike. 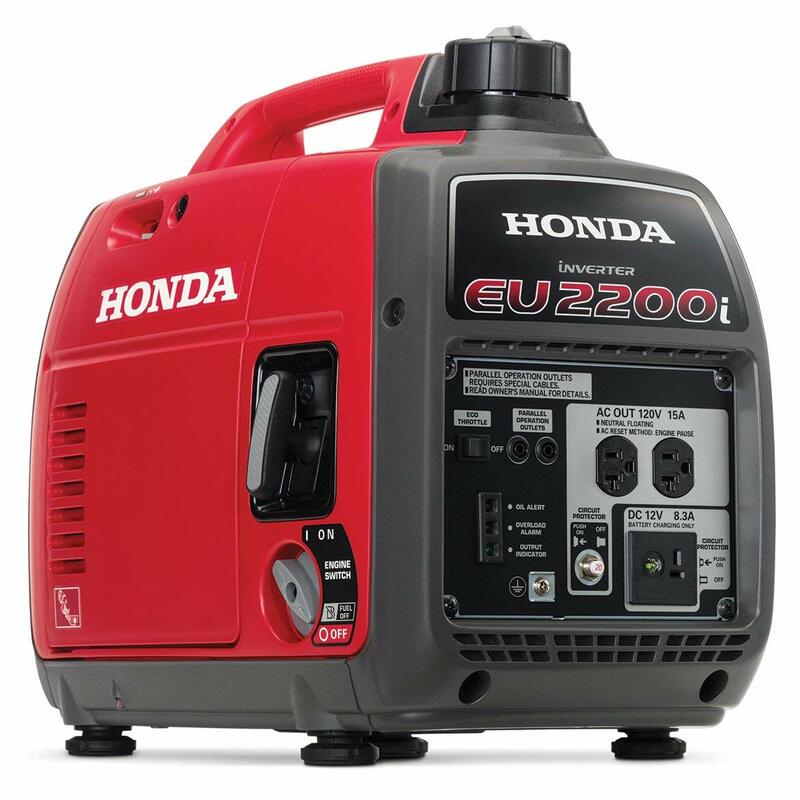 Works on Any Motorcycle, ATV/UTV or automatically. 2 or 4 stroke. • No wiring required. No Power, ground or pick-up wire required. Just peel and stick. • Includes Resettable Trip as well as total hours accumulated modes. • Includes double sided tape and mounting screws. • Built in Battery has 8 year lifespan. • Hour glass symbol automatically appears when engine is running and flashes on/off to indicate counting time. • Display screen can be read with engine on or off. • Unit measures 2 1/8″ length x 1 1/2″ wide x 5/8″ high. • Designed, Assembled and Tested in the USA. Made with Global and Domestic Parts. • Made with ROHS compliant components. 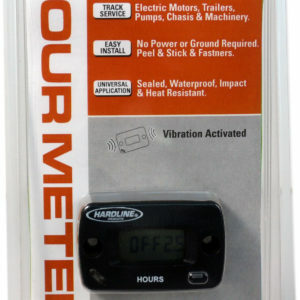 Do not use this meter with Steering Stem mount HRMM-2. Use Mounts HRMM-3, HRMM-4 or HRMM-5. Made with Solid state electronics, modern LCD. The iMETER has superb environmental durability and enhanced functionality making iMETER the best choice of all possibilities without sacrifice to performance, operation or budget.